Bellesini Academy seeks to admit boys and girls who aspire to go on to a competitive private high school and then to college. For this reason, potential students should enjoy school and learning, and should have motivation to succeed in a rigorous academic environment. In addition, qualified applicants must possess honesty, integrity, and self-control. The admissions process is designed to identify students and families who will benefit from our specialized instruction and programs. Applicants must be eligible for Free & Reduced Lunch and be residents of Lawrence. Priority Deadline for applications is March 27, 2019. Regular admissions deadline is May 1, 2019. To begin the application process in English, please click here. Para comenzar el proceso de solicitud en español, haga clic aquí. Hard copy of the application is available at our office at 94 Bradford Street in Lawrence between the hours of 8:30 am and 5:00 pm. Questions regarding admissions may be directed to admissions@bellesiniacademy.org or to our office at (978) 989-0004. Click here to schedule a time for your child to take our admissions test. Blessed Stephen Bellesini, O.S.A. Academy, Inc. admits students of any race, color, gender, and national and ethnic origin to all the rights, privileges, programs, and activities generally accorded and made available to students at the school. Bellesini Academy does not discriminate on the basis of race, color, gender, and national and ethnic origin in administration of the educational policies, admissions policies, scholarship and loan programs, and athletic and other school-administered programs. Read the whole Merrimack Valley Magazine Article here. Just 51% of low-income students attend college, but 88% of Bellesini students have gone on to college, and another 4% attend technical schools. 100% of graduates have gone on to attend a private preparatory high school since 2006. 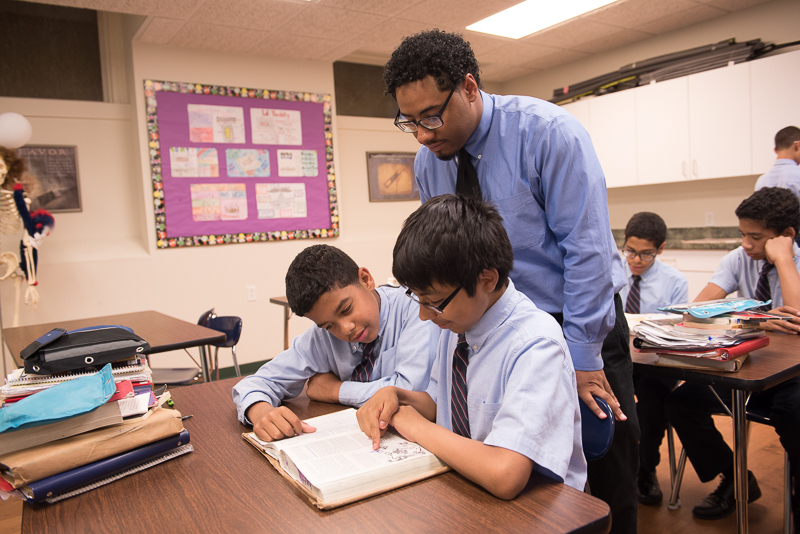 Students gain an average of eight grade levels during their four years at Bellesini. 100% of Bellesini alumni have gone on to graduate from high school.